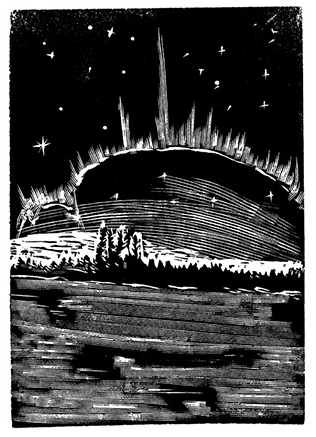 Our good friend George Walker’s beautiful wood engravings are stunning and we have a large selection of prints on view. The one above is from his Mysterious Death of Tom Thompson book. We’ve had a very busy Raymond Biesinger year at the shop and I don’t see the screen print love slowing down in 2014. 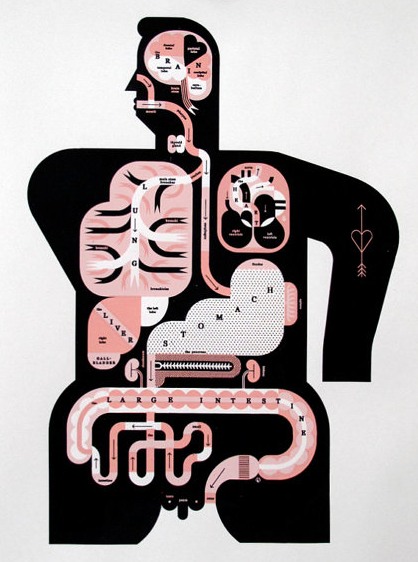 We just got shipped his two newest pieces, the Male Anatomy and Female Anatomy. While I got you – we should also remind you that his Hamilton on 30 Oct. 1958 print makes a great gift! Coming off a very successful One of a Kind Show appearance, Graham Blair managed to deliver us some more of his beautiful woodcuts in time for the holidays. 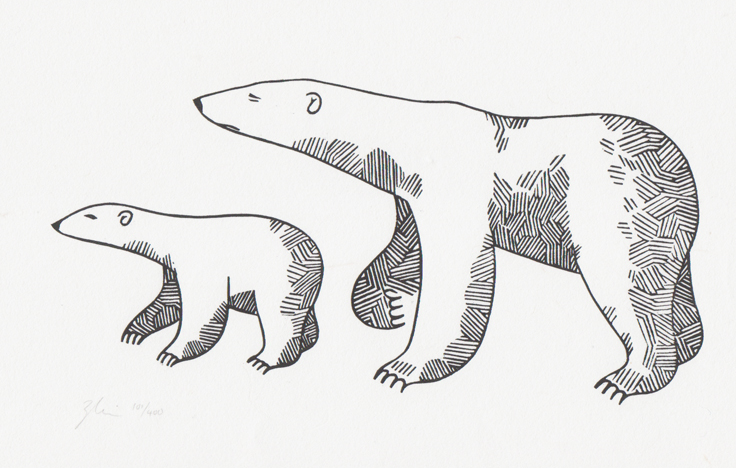 The polar bears are one of his newest designs and we’re excited to see these on the walls of local homes. This entry was posted in art, new products and tagged george walker wood engravings, graham blair polar bears, hamilton art, hamilton city map, screen prints, tom thompson, woodcuts on December 12, 2013 by dave.